Thank You For Sharing In Dance! I want you to know how deeply appreciative I am that you at some point, decided to dance with me. Whether you’re in a class now, or you’ve participated in a class or workshop in the past, it means a lot that you’ve been there. Nothing! It makes me smile knowing that over the last few months and years, this “dance thing” has brought you and I a little closer together. …and I believe no matter where you go, EVERYONE relates to dance. I’m not sure everyone feels the same way. And that’s OK. But if you do, I’m always open to reading your thoughts if you care to share? you may not remember me (friend of Simone’s) … you were the only choreographer that made me think anyone can dance 🙂 So, thank you for that. Thank you for being so positive in a world that is so judgmental. I hope things are well with you! Keep bringing people’s spirits up!! I am tring to find the time to come up to toronto to take one of your tap classes, since I live in Niagara Falls. I will make it one day for sure. I LOVED your classes! I love dance and I love the way you teach. I miss those dance classes so much! I am going back to school, so right now I am a poor student lol. As soon as things are stable I would love to take classes with you again. I would like to thank you for those memorable times and providing something that makes people feel so great!! 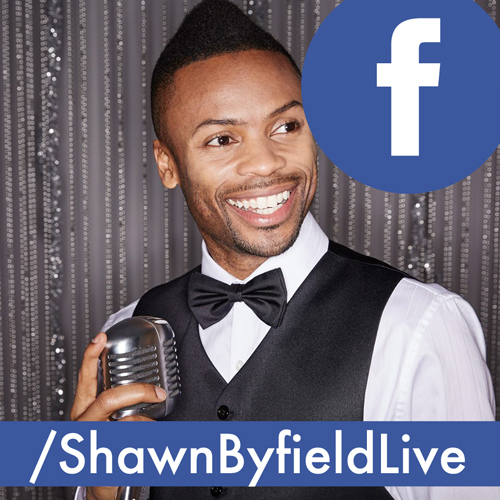 Shawn thank you for living out loud and sharing your gifts. I want you to know that until I came to your class, I hadn’t released the dancer within myself for a long time, and now that I have, there’s no holding her back! Even though I felt moving my body for anything besides aerobics was a bit out of my element, dancing in your class has brought me a great amount of joy (and pain lol- in a good way, I always feel more energetic after). You ensure everyone feels welcome and comfortable, and you work tirelessly to instill a sense of family and collaboration. It is clear we are dancing on the creative, not competitive plane. I feel so much more confident busting a move any time, any where! You’ve inspired me to go for my dreams because you are living proof people can and do live their dreams. It’s as easy as 5-6-7-8… I am truly grateful to have signed up and to have you as a teacher. Thanks to you, every floor I cross is now a dance floor! 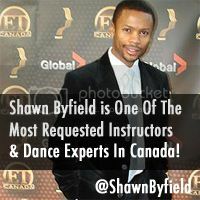 Hey Shawn, Thanks so much for the awesome dance experiences I have had! The tap intensive last summer was amazing and I am so thankful I had that experience! I would love to do it again! You have such a passion for dance and are so inspiring, I am so lucky to have danced with you! You totally have changed my perspective on tap and how to do choreography for it. Also, after doing your workshop in St. Stephen you made me believe there may be a bit of hope for me in doing hip hop. Thanks for the awesome classes and inspiration, can’t wait to dance with you again! aww! Thanks for the opportunity of not just giving amazing classes, but also for being such a great teacher that cares and motivates his students….I won my free classes for life, so you’re stuck with me for life…lol…besos!